Most people are resigned to the fact that building works can be delayed by setbacks in the construction process or bad weather, however very few people expect their property renovation to be delayed due to bats. Scotland is home to nine species of bats and all have European protection. As such, special consideration has to be given to them when undertaking building projects where bats have taken up home, as not only do bats have strong legal protection, their roosts do too. 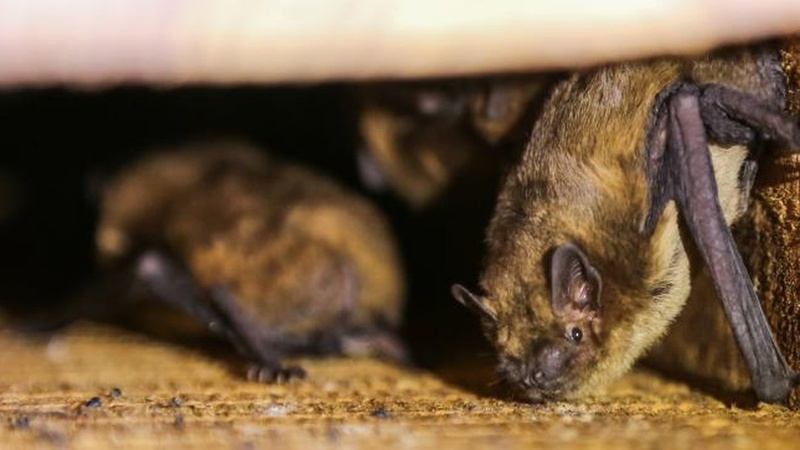 Bats are woodland animals, but many species have come to use roosting sites in buildings as the availability of natural roosting sites in trees has fallen. They have well established traditions and tend to return to the same sites year after year. Bats use buildings such as houses, churches, bridges and schools. The problem is more prevalent in the summer months when female bats need somewhere warm to rear their young, as over the winter months bats hibernate to stay out of the cold weather. Galbraith has advised a number of clients on how to deal with bats and other protected species whilst undertaking building projects, particularly in the rural sector where bats thrive. Special measures have to be implemented to adhere to ecological legislation and project design has to be carefully considered where bats have been found to be occupying a building. Failure to comply with legislation can lead to criminal prosecutions. When planning any project that creates a risk of disturbance to bats, or indeed any other protected species during their breeding cycle, it is vital to start preparations early and plan ahead. There are a range of measures that can be undertaken including the timing of the work to avoid the breeding season, installation of bat boxes to re-house any bats found during the work and specifying the installation of lead slates in new roofs to maintain access for bats in future. The use of under slate breathable membranes can be problematic where bats are present as bats can become entangled in the membrane. Therefore, the design of the roof has to be carefully considered and the introduction of alternative roof felts and roof ventilation factored in, depending on the roof structure and design. We have worked with Galbraith on building projects where protected species, most commonly bats, have been found to be roosting. The understanding of wildlife legislation and responsibilities with regard to protected species is an essential component of managing projects. The awareness of bat conservation issues by property firms along with the 'can do attitude' not only ensures that the project is completed on time and on budget but also helps to conserve this important protected species. Bats are quite commonly found in houses, both new and old and it is very rare for bats to cause any damage to properties. In most cases, people don't even know that they share the house with bats. However, maintenance and alteration work to buildings can adversely affect bats and their roosts. Bats and their roosts are protected by law, which means that it is illegal to disturb, kill or injure them or to damage, destroy or obstruct access to a bat roost. Having bats does not mean that work to buildings cannot take place, but expert advice will be needed on how to proceed. Early engagement with a licensed bat ecologist is essential to avoid extra delays and costs to the project. Cawder Golf Club, Bishopbriggs Category A listed building which required an extensive programme of external fabric repairs in 2017. Bats were found to be roosting in the external features of the building associated with roof including under slates, behind lead flashings and in cervices within stonework at the wallheads. Before work on this project could commence, a full mitigation plan was required which included an ecological survey conducted by Bowland Ecology and SLR Consulting. Disturbance was kept to a minimum during works; there was no loss of roosting opportunities in the area and there was no detriment to the favourable local conservation status of bats. Bat boxes, suitable for the species identified on site, were erected in advance of works in mature trees to compensate the loss of roosting sites. The works were carried out under European Protected Species Licence issued by Scottish Natural Heritage. Category B listed chapel re-roofing project in Midlothian this involved the replacement of the defective roof covering with new Burlington Blue/Grey slates. In this instance the client of Galbraith appointed its architect to obtain Listed Building Consent and Planning Permission with Galbraith project managing the procurement of the works and management whilst on site. Galbraith worked closely with the ecologist as they prepared the mitigation plan, licence application and oversaw all works on site. No bats were uncovered during the work however new access slates were provided to retain access to the likely roost locations. Domestic property reroofing project in Comrie, Perthshire to replace a poorly specified concrete roof tile that had become porous after only 20 years of use. Galbraith obtained approvals with the local authority as the property lay within the Comrie Conservation Area, specified the replacement roof finish and oversaw the work on site. The specification was important as the use of breathable membrane was not permitted and additional roof ventilation had to be incorporated into the roof design. The ecologist was engaged to prepare a mitigation plan, licence application and oversee the works on site. During the project no bats were observed however, as the licence prevented destruction of the roosts, and at the client's request, additional vents and waterproof openings were created to maintain access to the roosts. A demolition project of a dilapidated farm steading in the Scottish Borders the steading was not suitable for modern farming and had deteriorated to such an extent that it had become unsafe. As part of the instruction, Galbraith organised for bat surveys to be undertaken and ensured that the correct mitigating action was taken to rehouse the bats to bat boxes prior to the demolition.